There are so many time tracking apps for iPhone and other mobile platforms that most users are simply overwhelmed with choice. When you do find a tool you want to try, the price can be a shock. Not anymore. 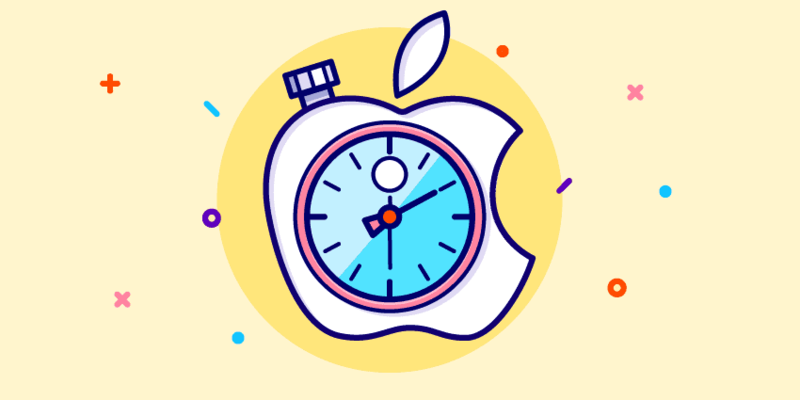 We’ve come up with a list of best iPhone time tracking apps, and best of all, they’re all free! Don’t you just love how some simple apps can solve major problems? As a developer, designer, or writer, for example, you must have wondered how long you spend on tasks. Including how much time you spend preparing estimates, invoices, meeting with clients, or even on coffee or lunch breaks. You can always track time the old fashioned way by making mental notes or writing down your time, but in this day and age, there are more powerful apps that tell you a lot more than just how much time has gone by. Here are the features you should look for in a free time tracking app for iPhone. Free to download (of course). An easy to use and intuitive graphical user interface. A built-in range of categories for both tasks and billing rates. A timer with a “start-stop” that can be restarted quickly and easily. A way to export data. The ability to sync data across multiple devices. In addition to these qualities, we also wanted to find apps that offered a paid plan or add-ons for more functionality. Free apps for your iPhone are great, but sometimes you need more tools for your business, in which case paying for a plan makes the most sense. Based on our criteria above, here are the top contenders for best iPhone time tracking apps. 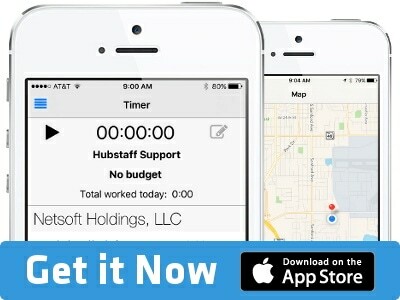 Platform: Hubstaff’s iOS app works with iOS 8.0 or later. It runs on iPhone, iPad, and iPod Touch. 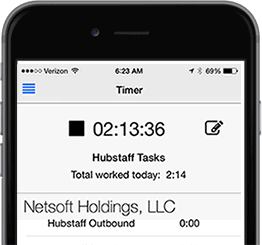 Hubstaff’s time tracking app for iPhone was designed to be as simple to use as possible while providing you all the time tracking capabilities you need. Track your time from your iPhone when you’re on the go and manage your account and your team online. Easily select projects to track time toward. Easy start and stop timer. Time tracked is available in online timesheets and reports. Add work notes to describe what you’re doing. GPS and location monitoring built into the mobile app. Automatically syncs with desktop and web apps. Hubstaff’s iOS app is the perfect complement to its desktop apps, which include time tracking with activity levels, random & automatic screenshots, integrations with more than 30 services, and more. 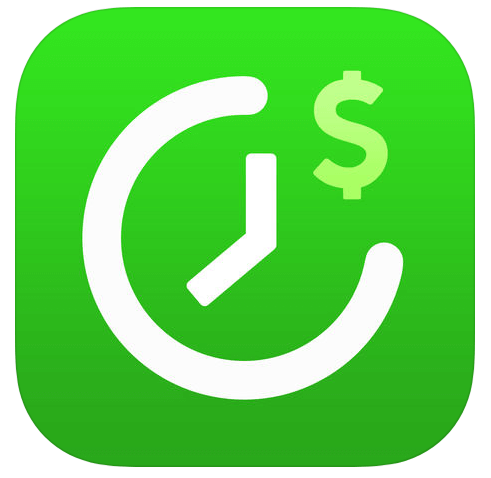 Platform: Timewerks: Mobile Billing Lite requires iOS 10.3 or later. Compatible with iPhone, iPad, and iPod touch. You can track time, customers, projects, billing, and expenses. Add capture notes and timesheets to every project task. Accept credit cards through Credit Card Terminal integration. Customize rates for different tasks and items. Platform: Requires iOS 8.2 or later. Compatible with iPhone, iPad, and iPod touch. Allows you to track your work hours and payments with ease. Easily create a timer and access time entries. Track multiple projects at different rates. Tracks time even if the app is not running. Platform: Hours Keeper works with iOS 9.0 or later. It is suitable for iPhone, iPad, and iPod touch and is optimized for iPhone 5, iPhone 6, and iPhone 6 Plus. Real-time earnings and time tracking for multiple clients. Map daily earning for each month via a calendar. Configure overtime and breaks for time tracking. Platform: Hours Tracker works with iOS 9.3 or later and is also suitable for iPhone, iPad, and iPod touch. The app is optimized for iPhone 5, iPhone 6, and iPhone 6 Plus. Has a “Start Clock At…” feature in case you forgot to clock in. Set job locations and get clock in and out reminders. Add comments with time entries, which can be included in reports. Track your pay, mileage, and tips within the app. 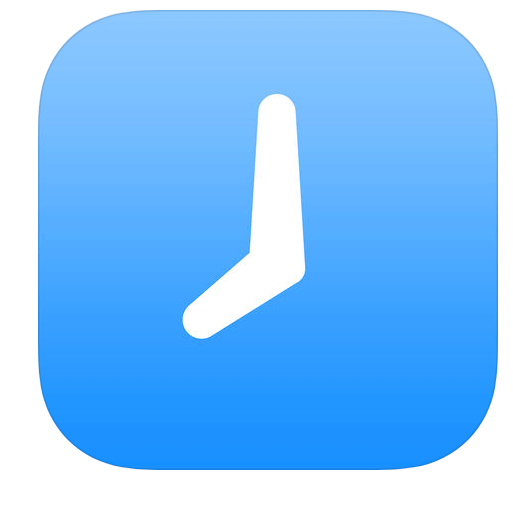 Platform: Time Tracker Pro works with iOS 10.0 or later. Compatible with iPhone, iPad, and iPod touch. Track time down to the second. Quick restarts of tasks in the recent history. Break down and review data easily. Great looking reports and graphs which can easily be mailed. Easy, intuitive graphical user interface. Platform: Requires iOS 10.3 or later. Compatible with iPhone, iPad, and iPod touch. Optional Hours Pro Subscription can be added to the free app for $7.99. Allows you to set smart reminders to start and stop the timer. Simple one tap start and stop. Option to add comments to your time entries. See reports in-app and through desktop browser. At the end of the day, the most reliable way to track time accurately and bill your clients is the easiest app for you. Every choice is different so it’s important to consider what matters most to you. Try out the free options we’ve listed here, and then let us know what you think. This post was originally published November 12, 2014, and updated January 2019. Looking for Simple Tracking for iOS?